SCRANTON, PA – As parishioners spend time in prayer for the season of Lent, the Diocese of Scranton announces today that it will host the incorrupt heart of Saint Jean Vianney at the Cathedral of Saint Peter in Scranton in April. 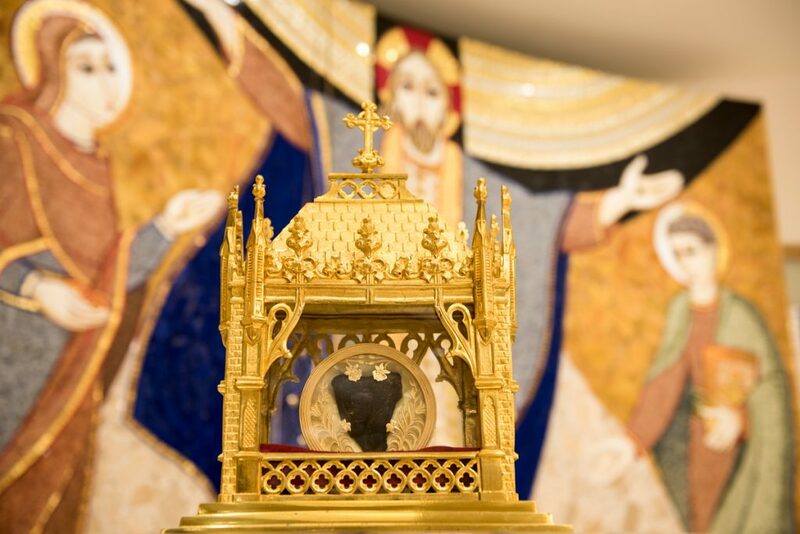 The major relic of Saint Jean Vianney’s incorrupt heart is currently in the midst of a nationwide tour, visiting cathedrals, churches and chapels throughout the United States through June 2019. The Diocese of Scranton will host the relic on Saturday, April 13, 2019. The Shrine of Ars, France, made the relic available for its national tour. The relic will be welcomed to the Cathedral of Saint Peter with the celebration of Morning Prayer at 8:30 a.m. It will remain on display for private prayer and veneration through 3:00 p.m. The Daily Mass will be celebrated at 12:10 p.m. and the Sacrament of Reconciliation will also be offered from 10:30 a.m. until 11:30 a.m. Bishop Joseph C. Bambera will be the principal celebrant of the 12:10 p.m. Mass and Msgr. David Bohr will deliver the homily. The Knights of Columbus is hosting the nationwide tour. Before stopping in Scranton, the relic will have already visited Washington, D.C. and Los Angeles. Born in France in 1786, Jean Vianney suffered through the dark years of the French Revolution. He undertook a life of penance and prayer to draw people away from sin and closer to God. Known for his wise spiritual counsels, Father Vianney would hear confessions for up to eighteen hours a day. Jean Vianney died on August 4, 1859. Saint Jean Vianney was canonized by Pope Pius XI on May 31, 1925. As the patron of parish priests, the faithful are asked to pray for their most heartfelt needs and intentions, as well as for healing within the heart of the Church. For more information about St. Jean Vianney and the relic tour, visit www.dioceseofscranton.org.